Actually, I’m cheating a little bit. Vancouver is in the background, and it’s Stanley Park. 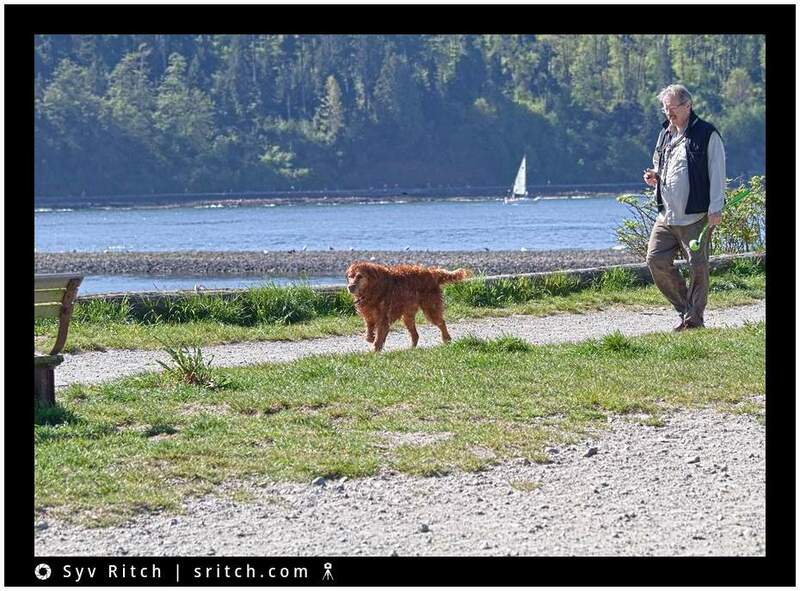 The man and his Golden Retriever are in West Vancouver, just a bridge away from Vancouver. If the traffic flow is good, that’s a 10 minutes drive. If the traffic flow is not that good, it could take half an hour and on some occasions even an hour to go through the Lions Gate Bridge.